Alyssa Carlier | The Devil Orders Takeout: In March: I reveal giveaway winners, flailed over ADSOM, and rewrote the witchy WIP! In March: I reveal giveaway winners, flailed over ADSOM, and rewrote the witchy WIP! WOAH, March has whisked past so quickly, and it's nearly April Fools'! 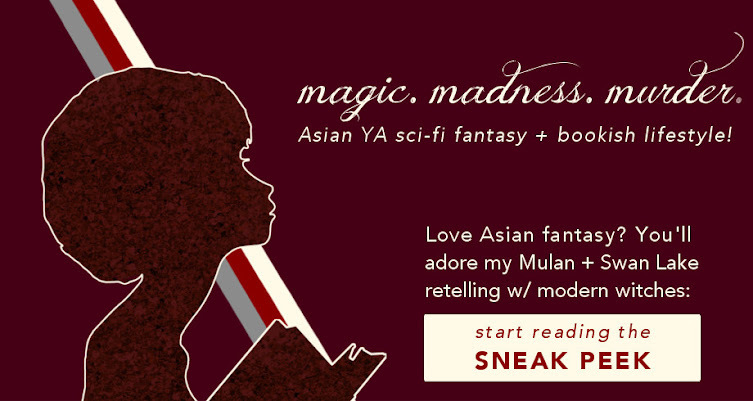 In this month's recap, I reveal my birthday giveaway winners and my start on Mulan + Swan Lake retelling WIP revisions. Don't forget to grab my five bookstagram templates — I base my book photos off these! Plus my post back in January about 7 types of villain deaths went minorly viral on Pinterest and I expanded it with more detail + a statistical breakdown! 'Tis the season for A Darker Shade of Magic and (NYT bestseller!!!!!) 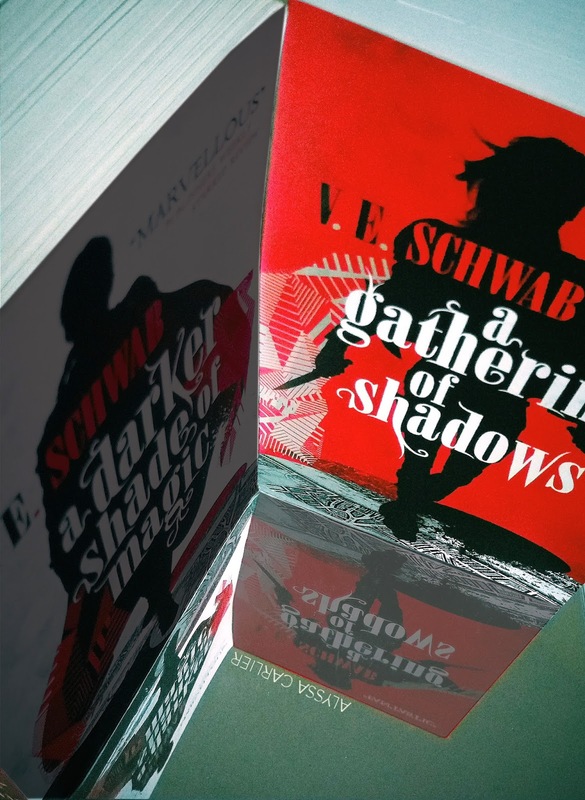 A Gathering of Shadows. Victoria Schwab herself RTed the first photo and I am STILL FLAILING. 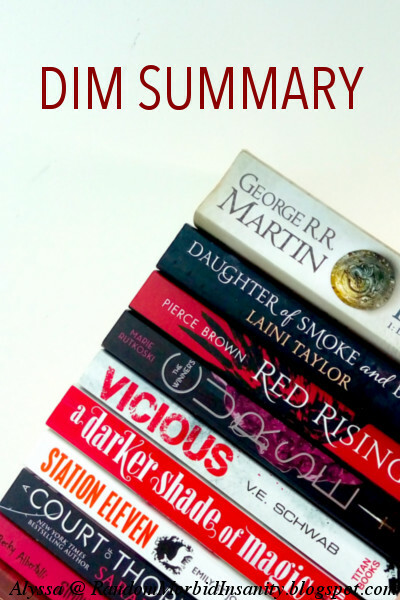 On other bookish news, I'm still clearing out the December haul plus a couple more books! I read A GATHERING OF SHADOWS (February-March favourite), Dark Places, The Bureau of Time, Red Rising, and The Winner's Crime. Reviews upcoming on Goodreads —friend me there for bookish updates, and check me out on Tumblr for more book photography experiments! PS: I am on Instagram, but I'm posting very very rarely if at all until I graduate from high school — I will however follow back + like/comment on your bookstagrams! Oh man, guys, I finally finished draft 3 of MATRYOSHKA, aka Revenge WIP. Bad news, I think I will be rewriting this one extensively, so it'll remain hidden in my laptop for a while. “I don’t trust dying men.” Desperation was very dangerous. “We’re all monsters here. They just wear different skins. I’m not afraid of the northern creatures.” Lie. She was terrified of them, [elaborate on this]. In other news, I've delayed Secret Poetry Project and am instead considering Secret Teacup Mini-Project. Informative, I know. RT the below tweet and I'll notify you when you can read it! The Poet with the Dragons: You should support Topaz Winters on her new Patreon page and get a copy of Half Mystic! I kind of intensely regret going on a book buying ban ... this might seriously make me cave. Coolest Delivery Girl: FAIRY LOOT, a UK subscription box for YA fantasy lovers by Anissa, had a hugely successful March box! The Girl with the Best Thinking Cap: Emily @ Loony Literate asks what happens when books have problematic endings. The Next Elsa: Hannah @ The Road to Hannah shared when to call it quits and let it gooooo on your writing. The Next Blookunity Yoda: Amanda @ Nellie and Co. shared 5 pieces of blog advice EVERY blogger should know. The Next Blookunity Obi-Wan: Hawwa @ Hawwa, Etc. shared 4 things that EVERY blogger should accept. The Craziest Queen: Cait @ Paper Fury has some rather deranged lies that all writers tell themselves. The College Student: Heather @ Sometimes I'm A Story asks do male voices dominate college reading??? The Funniest Blogger: Shannon @ It Starts At Midnight has some helpful instructions on going into a reading slump. Link me up to your favourite March post in the blookunity! 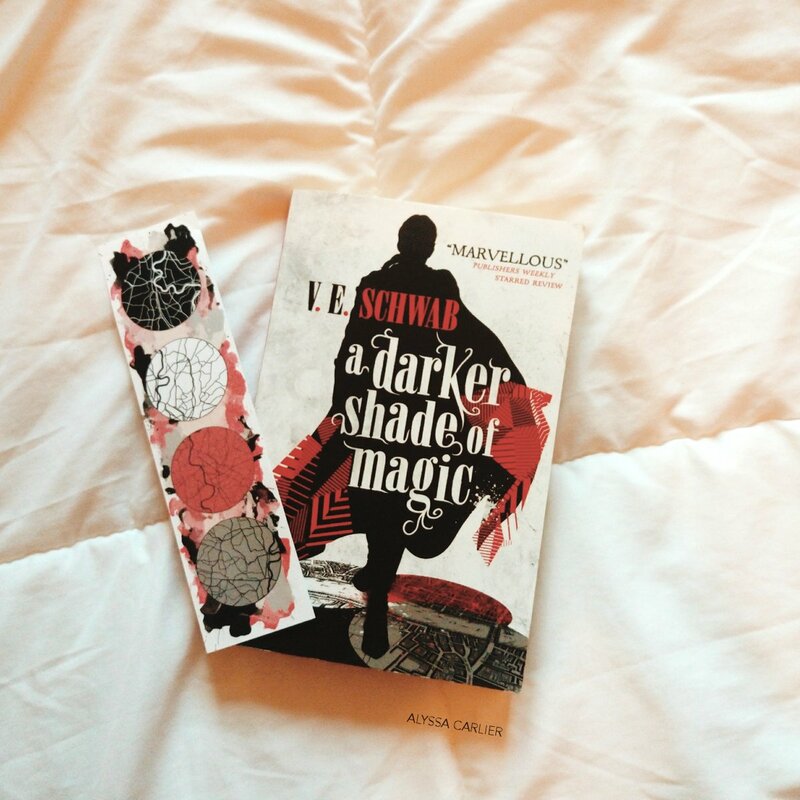 And thoughts on my A Darker Shade of Magic bookstagrams? ?